Lung cancer. Coloured frontal X-ray showing cancer in the right lung of a patient. The cancer (green) can be seen at the top of the lung to right of the spine (running down centre). The main cause of lung cancer is inhaling cigarette smoke. 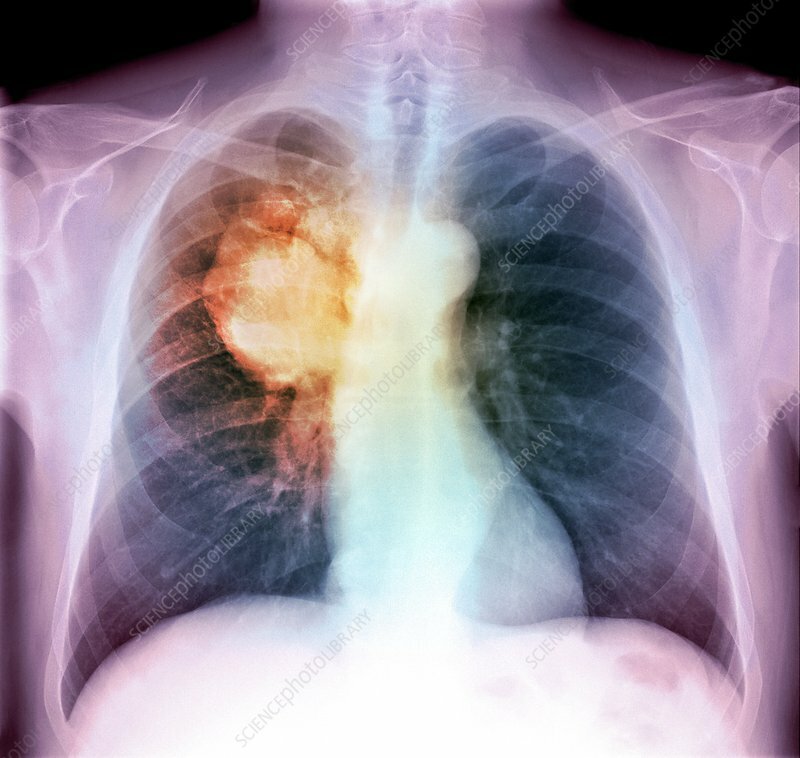 Symptoms of this type of cancer include chest pain, shortness of breath and a persistent cough. Treatment is with a combination of chemotherapy and radiotherapy.